Photos gets lost? No worries! You can follow this guide to recover deleted or lost photos from memory cards with free photos recovery software. Digital camera is an important device in our lives. We use it on various occasions, either regular or special, to capture moments for later reference. These days have become history when we took photos with camera with films and develop pictures. Now we store photos on memory cards such as SD card, XD card, CF card, MMC card and more alike. Digital cameras owns many merits over traditional cameras, but they still have an unsolvable problem which is photos can be deleted from memory card easily, and important pictures can be lost due to sheer accidental deletion. So it is quite necessary to know the way to recover deleted photos from SD card or XD card. If you just deleted a photos you really need by mistake off your SD card or XD card, then you’ll be excited to know that it hasn’t been permanently wiped and it is still recoverable. Even though the SD card or XD card is damaged, corrupted, formatted or infected virus, you still have chance to recover lost photos. But you’ll need the assistance of qualified and free photo recovery software and perform photo recovery as soon as possible. The reason why you should recover lost photos quickly is crucial. When a picture is deleted from your SD card or XD card, then it is not permanently erased. What happens to the memory card is that sectors once occupied by that photo become available for being reused. What should be done before recovering deleted photos? To recover lost photos, you need to connect the camera to computer via USB port. If the camera fails to show a drive letter in My Computer or Windows Explorer, you have to look for a card reader for your memory card. You can buy such card read from local computer shop or online store. Then you can insert the XD card in the card reader, and connect the card reader to computer. The memory card is recognized as a removable drive in My Computer, which allow recovery software to scan data from it. Use the USB 3.0 connect if possible, which may make the scan process faster than USB 2.0 connection. 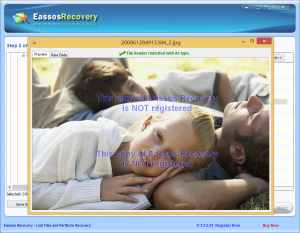 After memory card or camera is well connected, you can download the photo recovery software Eassos Recovery and install it to computer. It’s free download and you can get it on the Internet. Run the executable file and follow the wizard to get it installed on computer. 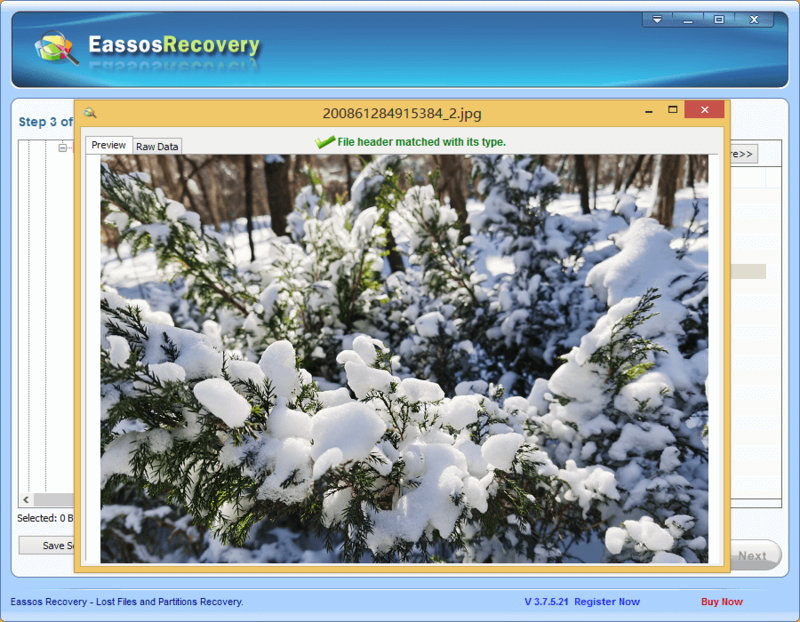 Then you can follow the recovery wizard to recover deleted photos from memory cards. How to recover deleted photos from memory card With free photo recovery software? 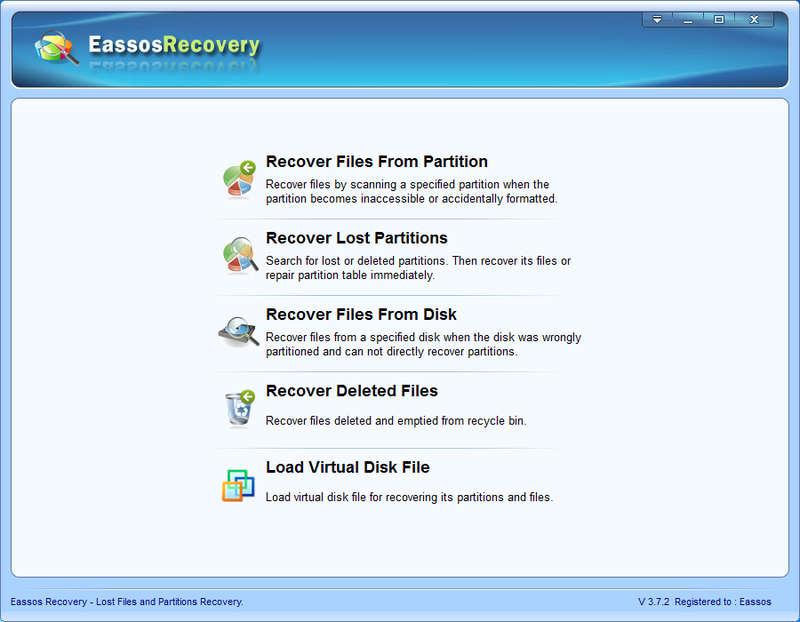 Step 1: Start Eassos Recovery and select recovery mode. It comes with a wizard interface for photo recovery and it is quite easy to follow. Step 2: Select the memory card and click “Next” button to start file scanning. Step 3: Recovery. After file scanning, you can select wanted photos and copy them to a specified location. 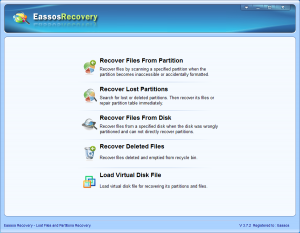 This entry was posted in Data Recovery and tagged free photo recovery software, recover deleted photos, SD card recovery by EASSOS. Bookmark the permalink.